Using pagan prose fiction produced in Greek and Latin during the early Christian era, Bowersock investigates the complex relationship among perceived and presented "historical" and "fictional" truths. Bowersock's superb lecturing style is successfully transferred into writing with force and eloquence, as he weaves accounts from a wide range of sources into his text, illuminating social attitudes of the period and persuasively arguing that fiction of the period was influenced by the emerging Christian Gospel narratives. In the second half of the first century emerges a new kind of fiction including outlandish tales of travel, romance and comic novels. Bowersock concentrates on secular literature, illuminating not only its literary motifs, but also reconstructing the societal context as one engrossed in fabrications and all kinds of revisions or rewriting. Using these less familiar materials as his points of reference, he reads into familiar Christian material, making linkages and casting new light on familiar subjects, as well as providing some provocative interpretations of familiar Christian texts. Bowersock uses close historical and literary analyses of specific passages of works, and pays attention to larger and more general issues and questions around the relationship between fiction and history and how we read them. This book will be of basic intellectual concern to all raised in the environment of Christian belief. G. W. Bowersock is Professor of Ancient History at the Institute for Advanced Study in Princeton. 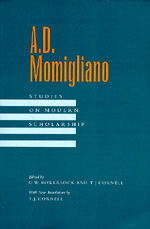 Among his many books are Roman Arabia (1983) and Hellenism in Late Antiquity (1990).